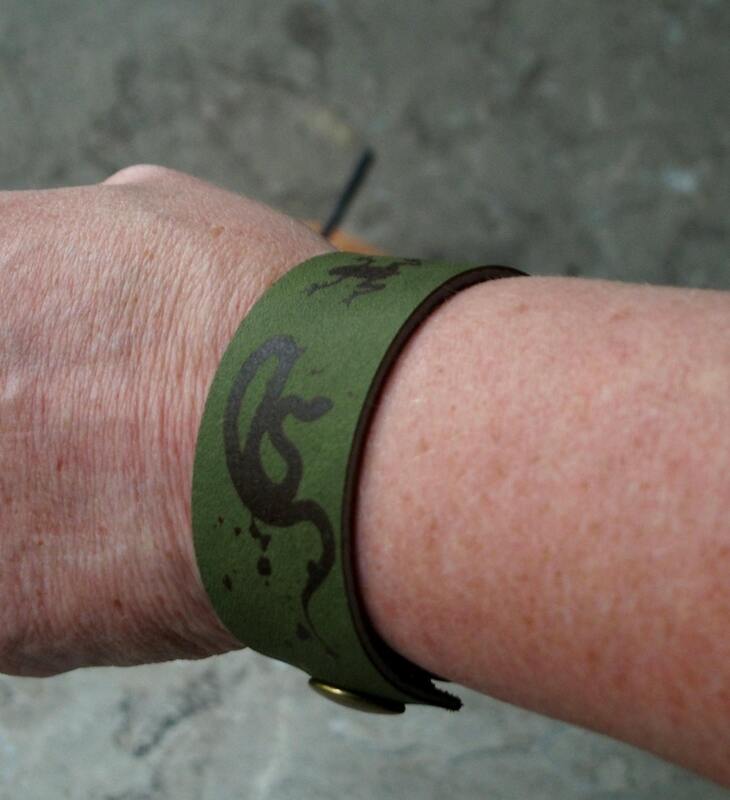 The snake, frog and lizard design appears in "Half-Off Ragnarok" novel, a recently released & best selling edition in the InCryptid Novel series by Seanan McGuire. Seanan is a 'NYT bestselling author' and a Hugo award winner, and generously provided me the "ding bat" (chapter header) artwork by Tara O'Shea, and the permission to use it in my silk screened leather products. 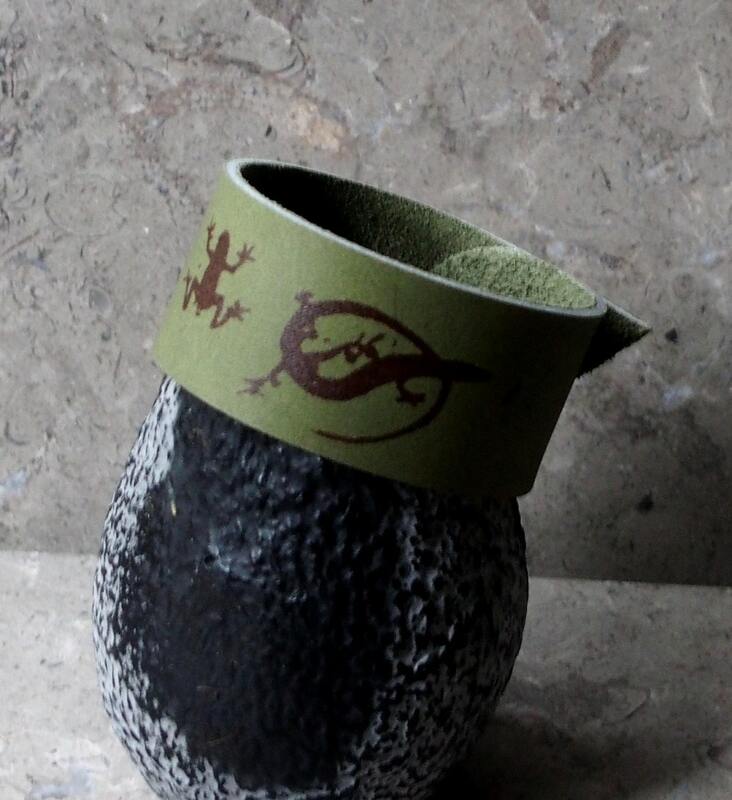 The design would work for any reptile fan, even if they are not yet fans of Seanan's writings. I select leathers for their comfort on the wrist and durability for the silk screen ink, which will last for years. The fourth photo shows current leather/ink combinations. Some of the leather, such as the green, may have a "natural" rough edge, but most will have a rounded end. The sizes are best for 6" up to 9". I recommend about 1/2 to 3/4" longer strap than the wrist size for ease of fit. High quality snaps are used for closure, and the strap can be made to fit any wrist size. 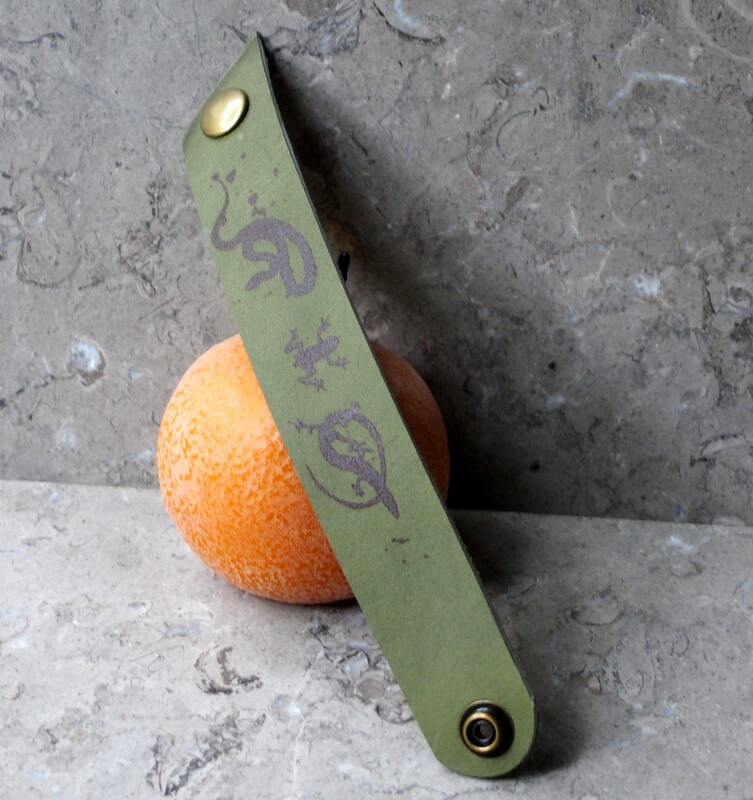 An option available is to add 2 snaps, as shown on the parchment colored strap, which provides 1/2" adjustment in fit. If you want other colors, or size other than I have listed, please convo me, and I'd be happy to make a custom order with the combination of your choice. I am extremely grateful to Seanan for her amazing books, and for granting me permission to use her artwork. 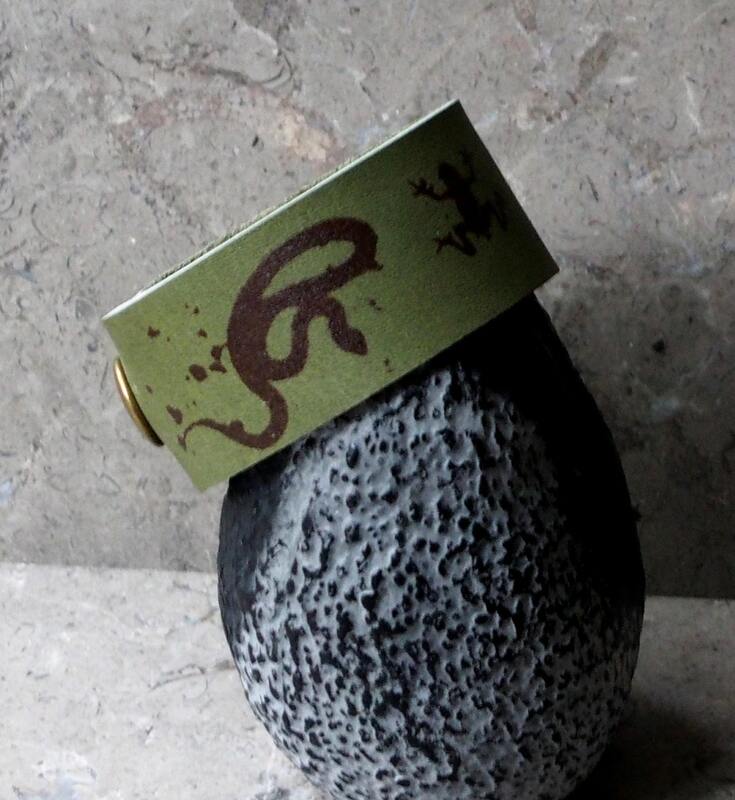 This strap joins the "Ashes of Honor" wrist strap in a series of work utilizing artwork she has provided or inspired. The shipping is based on Priority Mail flat rate, but let me know if you'd like another option before you place your order.